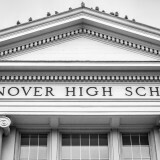 In its current form, Council is not and will not, for the forseeable future, be the main engine of change when it comes to meaningful changes of the policies affecting student life, school rules, and the curriculum at Hanover High School. Now, this isn’t to say that Council has no value whatsoever. Many of the students, staff, and community members who pour countless hours each year into Council deserve thanks for their genuine efforts to better the school community. They perform important tasks such as allocating funds and other resources to clubs and organizations, running major events such as Winter Carnival, and brainstorming and discussing ways to improve the student experience (there is a reason this newpaper cover Council, after all). The point, rather, is that Council’s discussions on most major motions of interest to the wider student body do not translate to meaningful action. Take the discussion about having a major schedule change at HHS, for example. Council has talked for years about revamping Hanover High’s schedule, yet no legislation has come out in recent years that would significantly alter the current configuration. While taking time to find solutions to complicated problems such as the schedule is understandable, the amount of time that has elapsed suggests that Council is able to do a lot of talking but not much, well, doing on these sorts of issues. Any sweeping ideas that do make it into representatives’ minds seem to fizzle suddenly (whatever happened to that environmental shelter idea people were talking about last year?). Hanover High. Based on past articles written by Perrin Milliken (Council’s 2017-2018 DSB representative, a member of Council who participates in DSB meetings and acts on behalf of Council there), it seems that the board has been actively working on reworking several aspects of the Hanover High schedule; these efforts have included the creation of a committee to assess the feasibility of a later start to the school day, considering calls from the parent organization Circle Up to implement a formal lunch period, and possibly creating a two-year project aimed that reworking the entire schedule. Not to mention that the decisions made by the DSB are far more binding than Council’s. Evidently, the DSB has the power to enact sweeping changes to the school environment, and it has a mandate to follow through on its initiatives. This is why Council must rework its relationship with the board if it is to have any effective say in major issues like the schedule; it needs to step up its presence in the board. Sure, there is a connection through the DSB rep. That, however, is not enough. 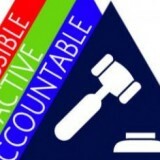 How can one student alone hope to represent the will of the Council (and for that matter the will of the general student body, especially given the disconnect between it and the Council) in the DSB meetings? Instead, Council should dedicate a whole committee of representatives to send to work on the DSB and act on behalf of the interests of the student body. 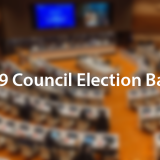 Alternatively, the students and staff could directly elect students to such a delegation while also downsizing Council to a body that only addresses club finances and day-to-day issues. Either way, something needs to be done to promote student voices in the DSB. Otherwise, Council will continue to be idle on the issues that matter and the image of a democratic school that HHS claims to embrace so much will just be … well, an image.